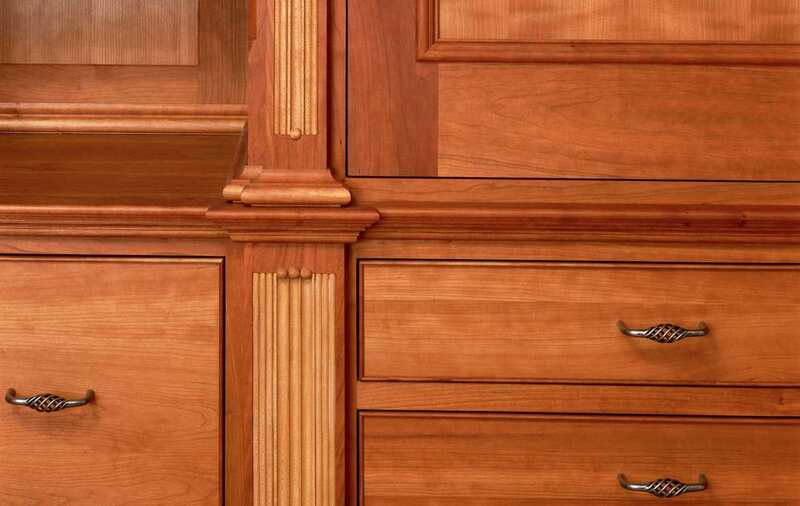 A judicious mix of wood species can yield tantalizing details. Who but the designer/cabinetmaker could successfully combine flutes, reeds, and spheres in one column? Imagine the simple pleasure of glancing up from contemplative efforts, to have your eye alight upon such engaging elements. Jaeger & Ernst believe in the possibilities, and in our clients’ dreams.